Max's original VL Pro Vertical Lift is the MVL40122. 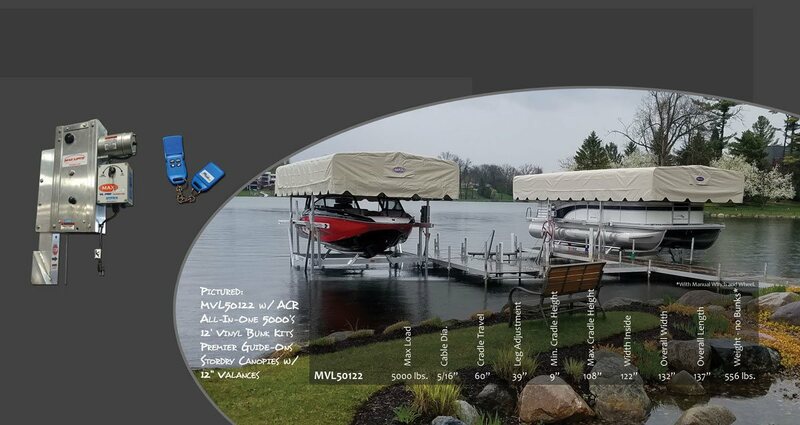 It quickly became the popular choice for boat owners and the standard that every Max V-cradle lift still encompasses today. A great choice, deliberately over-built, and the best value in it's class. 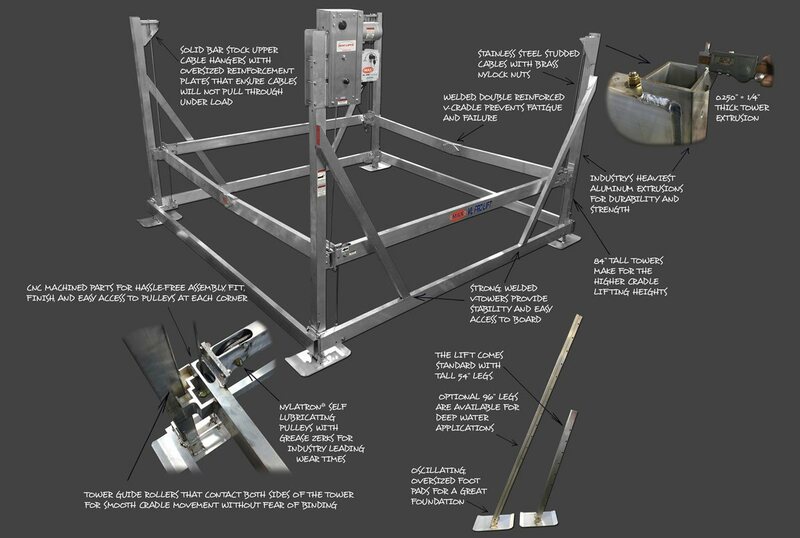 This hand-wheel operated lift works well for pontoons or boats. 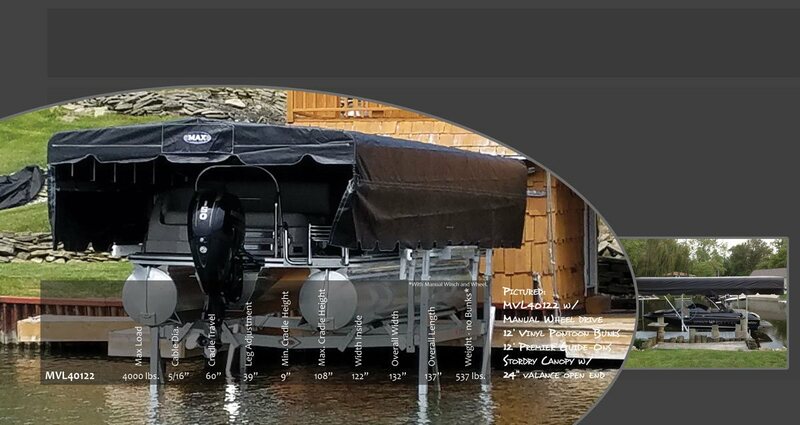 It can also be equipped with optional auxiliary power, a Stordry Canopy, and all of the VL Pro bunks, stops, and guide-ons. 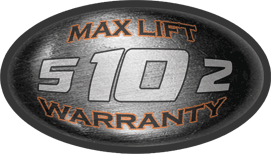 MAX's MVL50122 VL Pro Lift shares the 40122 frame, and the base model utilizes a heavy duty 5000 lb. capacity winch. Many of today's savvy customers choose to tupgrade to the MAX All-In-One 5000 lb. capacity electric winch system. It's side mounted motor design doesn't interfere with MAX Stordry Canopy valances, and it's quiet electric motor lifts effortlessly. MAX's All-In-One 5000 systems are available in AC or DC versions, with or without remotes, and come standard with a five year factory warranty.